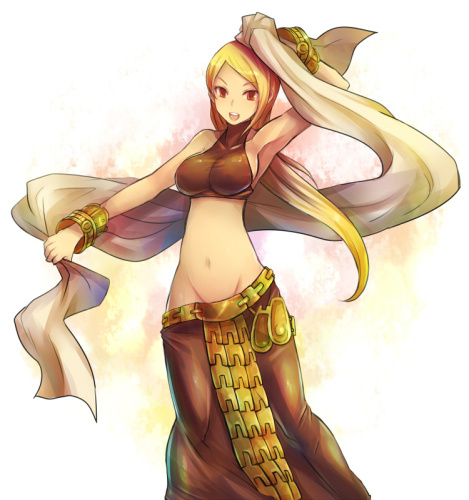 The Dancer is a class normally taken by females, becuase men would perfer not to be seen in such outfits. BUt the power of the dancer is not in the way she looks, but the way she moves. Not unlike the gestures of a mage, the dances the dancer performs can be as catastrophic to enemies as a Time Mage casting Meteor is. When a Dancer performs some of her 'wild dancing', anything may happen, from causing a random Status effect to hit anyone or everyone, to claiming total victory by unleashing the true power behind her movements.